Ok, lets dig into our history book a little. 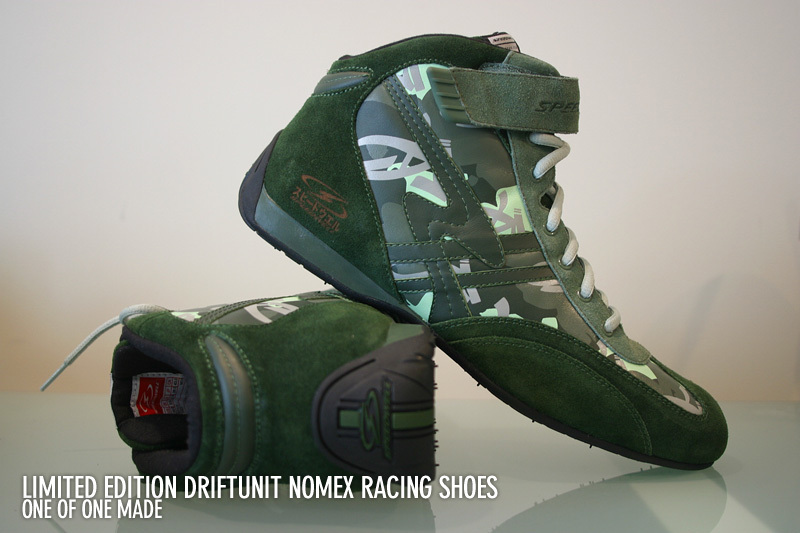 In 2004 we connected with Speedwell Footwear to come up with some footwear for DriftUnit, our drift team. Drifting wasnt so serious here in the states but it was definitely gaining some steam in the Pro Series with the inaugural Formula Drift event in 2004. 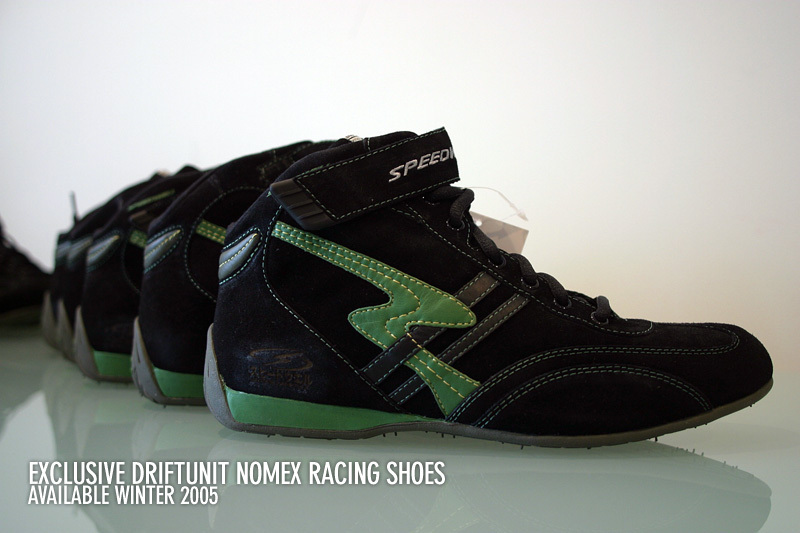 We were just regular dudes that loved what we did and together with Speedwell, we came out with footwear for everyday use and then some special racing shoes just for the team which released in 2005. Those were the days. 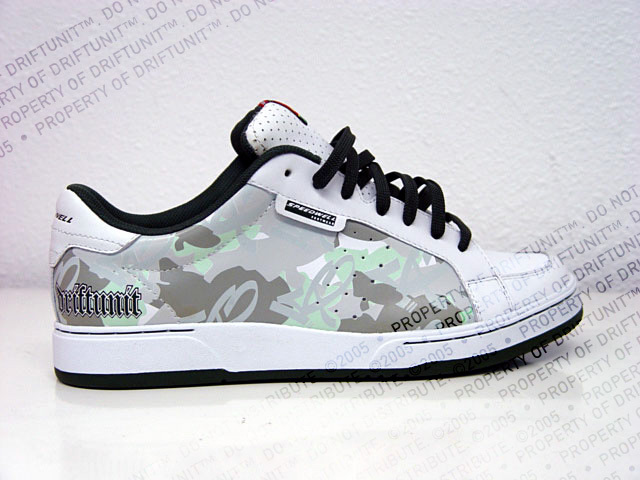 We need a re-release of the Drift Unit shoes! I want both! 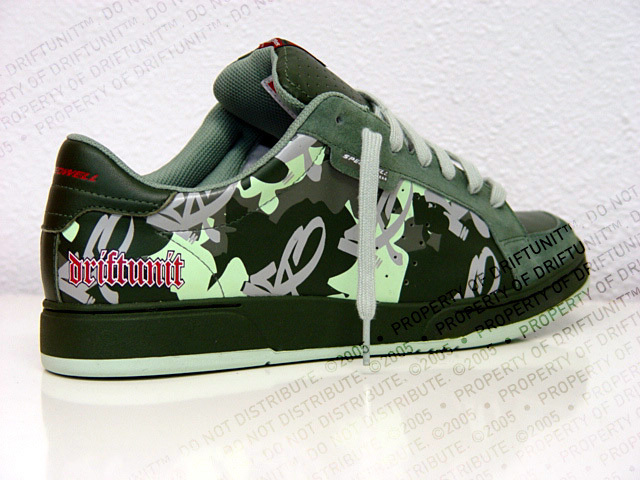 I still got my Driftunit camo’s in the box! Only worn once!!! I have a pair still in the box too…gotta find em! I had the white ones… oh the memories! Still got my racing shoes! Too bad I dont have a car to race with… 🙁 One day I’ll get another. i have the green ones i love them. I have the speedwells, I loved them! Dude, I still have my pair. Totally forgot I had them, there in my closet somewhere!